After almost three decades of service with British Airways, the airline is now saying farewell to their Boeing 767 fleet, with the last commercial flight now wrapped up. Operated by G-BZHA, a 20.5 year old 767-336ER, flight BA662 departed London Heathrow at 12:20 and was destined for Larnaca, Cyprus, where the aircraft later returned to Heathrow as BA663. 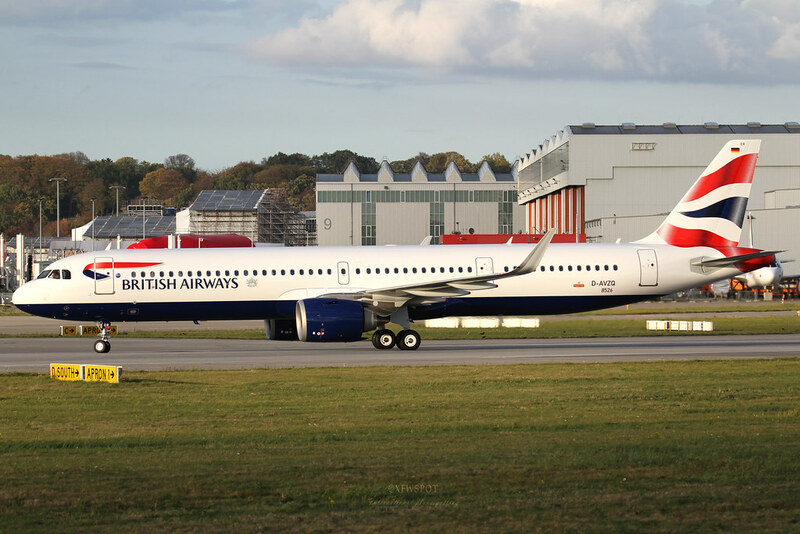 Once the retirement process is complete, British Airways will position the aircraft to St. Athan in Wales to be parted out and shredded for scrap. Between 1990 and 1998, British Airways took delivery of their 28 Boeing 767-300ERs on order, all powered by Rolls-Royce RB-211 engines to match those installed on their Boeing 747-400s and 757s. Despite the higher fuel burn compared to the Pratt and Whitney and General Electric engines available on the 767, British Airways selected the Rolls-Royce variant to reduce maintenance costs across their fleet and to further enrich their relationship with Rolls-Royce. Only 31 of the Rolls-Royce powered 767s were delivered by Boeing, of which, 28 were for British Airways and three to Yunnan Airlines. The engines/support structure weren’t perfect, however. Cracks that had formed on the engine pylons forced the airline to ground their 767 fleet for a short period of time while Boeing worked on redesigning the pylon to accept the heavier weight of the RB-211 engines. British Airways, before placing the order for the 767 in 1987, also had the Airbus A300-600R on the table, comparing each aircraft until they finally made a decision. The deciding factor was ultimately engine and cockpit commonality with the 757. Over their lifetime, the British Airways Boeing 767-336ERs proved to be ultra reliable and capable for the airline, often switching between short and long flights, specifically within Europe to anywhere in North America, the Middle East and the Caribbean. So what will replace the 767s role in British Airways’ network? The Boeing 787, which was designed to replace the 767 by offering a 20% reduction in fuel burn, as well as the Airbus A320neo Family, specifically the A321neo, are expected to pick up where the 767 left off. The A321neo has the capability to operate short-medium length flights with a comfortable payload, whereas the 787, if more capacity and range is needed, can raise the bar. Once the much larger Airbus A350-1000 and Boeing 787-10 arrive in 2019, the 787 will likely take the high load factor short-haul routes within their network. End of the line for the Boeing 767? The Boeing 767 is a unique aircraft for airlines, offering reliable and versatile service as well as having a good resale value for when upgrades arrive. Boeing still produces the 767 in two variants, being the Freighter and the KC-46 Tanker. United Airlines, American Airlines, Delta Air Lines as well as many other operators have been after adequate replacements for their fleets of 767s and 757s for quite some time now, and the Airbus A330neo and Boeing 787 Dreamliner are proving to be great candidates. Although there’s an increase in the need tor retire the aircraft from airline service, healthy frames will live on to be converted into freighters for many years to come. As the first twin engine widebody aircraft Boeing produced, the aircraft sure did well with airlines around the world, but things can’t last forever, and with rising fuel prices, stricter environmental laws and the need for competitive cabins, the future lies within the Boeing 787, Airbus A330 Family and potentially the upcoming upcoming 797.